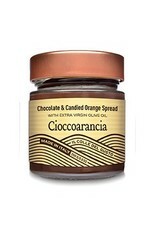 Hazelnut Chocolate Orange Spread with Extra Virgin Olive Oil - Miam! 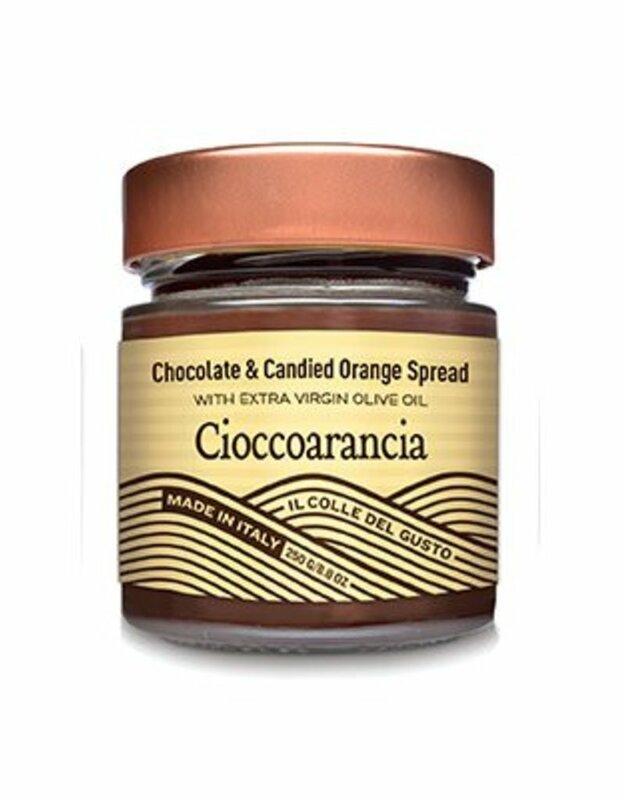 Cioccoarancia is a sumptuous combination of bittersweet chocolate, hazelnuts, candied orange peel and a touch of orange extract. This luscious spread is made with Italian extra virgin olive oil, giving it a glossy sheen and silky, velvety texture punctuated by the subtle chew of the candied orange peel. A baker’s essential, Il Colle del Gusto’s Cioccorancia spread shines simply slathered on a warm piece of toasted bread. Also try it drizzled over pancakes, waffles or French toast. Spoon it over scoops of gelato and use it in tarts.